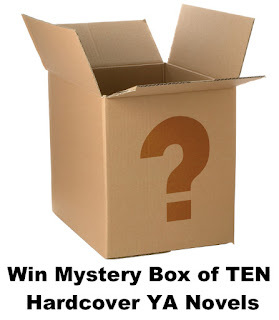 6 Compulsion for Writing Party and Prize-Fest with Giveaway of EIGHT Amazing YA Books, Necklace, Tote Bag and more . . .
It’s a VERY special month here at Adventures, and we’re beyond thrilled to be able to share it with the writers who’ve been with us since the beginning, and with the new writers and readers who have joined us along the journey. And it really is a journey! Four years ago, I started this blog with a friend as we started to think about getting our books published. 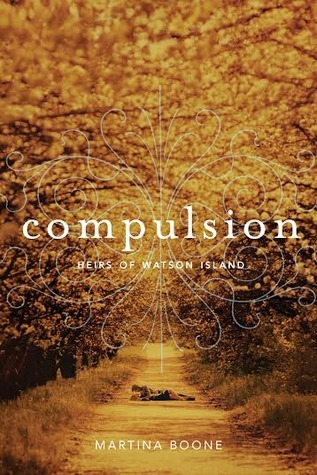 In less than a month, on October 28th, COMPULSION will finally emerge into the world as a published really-truly book. There are lots of fun things in store to celebrate the kick off, but wait . . . There’s even MORE to celebrate. Our very own Lisa Gail Green has a fabulous new agent, and a slew of incredibly awesome new book deals, and our lovely Erin Cashman is brewing some wonderful news as well! In the next couple of weeks, they are going to tell you their stories, and I’m going to tell you mine. What stories you ask? The stories of how we almost quit writing and ended up turning it around. Have you ever felt like that? Like you were DONE? You just couldn’t face rejection or take coming “close" any more? Have you thought about giving up? We all have! I did. Lisa did. Erin did. We’d love to hear about YOUR Compulsion for Writing. We want you to tell us your stories, and we’re going to host a giveaway and a celebration of persistence. 1.) You write your story — a paragraph, a page, whatever you want — about how your Compulsion for Writing kept you going at a time when you got discouraged and thought about quitting. 2) You write about how to feed your Compulsion for Writing and keep the joy through the hard times. 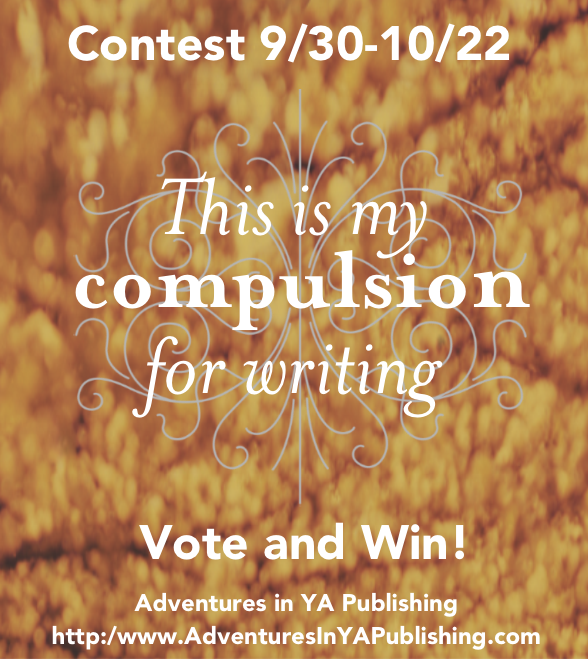 3) Post what you've written on your Blog, Pinterest, Tumblr or Facebook Page and share it to the contest event page on Facebook, or write it directly on the Compulsion for Writing Party and Prize-Fest event page. 4) Get everyone you know to “Like" the Compulsion for Writing Page and their favorite posts people have shared there. Here's a nifty banner you can use to help spread the word! We’ll review the posts with the greatest number of "likes" and Lisa, Erin, and I will each pick winners. We’ll send the winners special gift packs, but we’ll also each provide half-hour long phone calls to discuss your writing in general, your book or WIP, querying, agents, the book business, publishing, promotion and marketing, our books, social media, or whatever else you want to talk about. 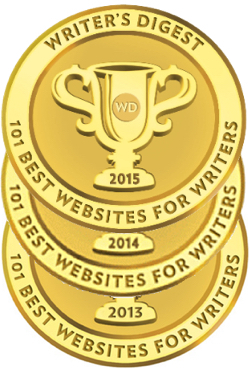 And, because sometimes all it takes is a bit of a push, but the people who need the biggest push are often the ones who don’t get it by querying or by entering contests, we’ll have some agent critiques for a few lucky winners, too. On 10/21/28 at 6:00 PM eastern, we will join everyone for a live Facebook Party where we can all trade stories and answer questions. That’s also when we’ll announce the winners and throw in a few extra and spectacular live giveaways as well! So mark your calendars. More details are posted on the Facebook page, and stay tuned for our stories and prize packages coming in the next few weeks. Meanwhile, here’s a bit of photo inspiration for what can happen if you don’t give up! : ) Last year, I was down at YALLFEST as a fan with some friends. 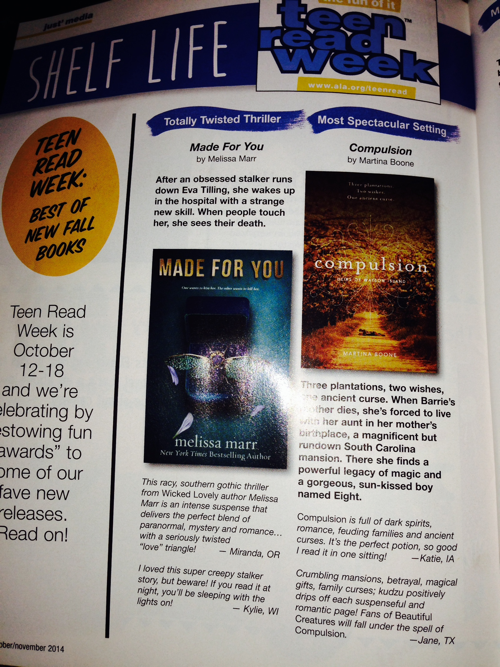 They had stacks and stacks of Justine Magazines with the coolest Teen Read Week feature showcasing some great YA books. 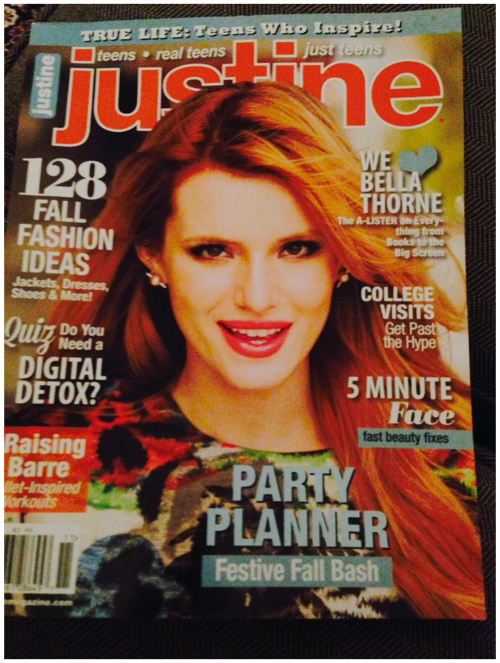 And tomorrow, the Justine Teen Read Week issue hits the stands, and guess what's in it? OMG, right? Mind-blowing! And Melissa Marr and I will be doing an event together to kick off the Compelling Reads Tour, and I happen to be a super-HUGE fan of hers. It's a total coincidence that she's on the same page in the Justine piece, but it's another example of what can happen that is truly beyond your wildest dreams. We're back with another roundup of new releases. 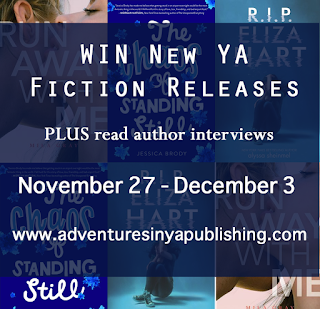 There are some really exciting books coming out this week, plus we have a couple of fantastic giveaways for you! What are you reading this week? all writers dread, "Where do you get your ideas?" 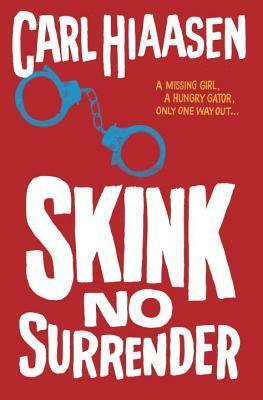 Readers are always thrilled to see a new book from the master of snarky satire, but they will be doubly excited for this book as Carl introduces young readers to Skink—an ex-governor of Florida gone feral, and one of the most iconic characters in Hiaasen's adult novels. 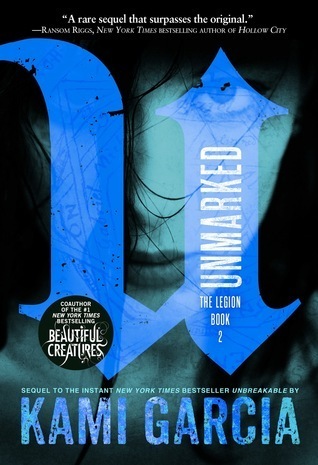 Author Question: What is your favorite thing about Unmarked? 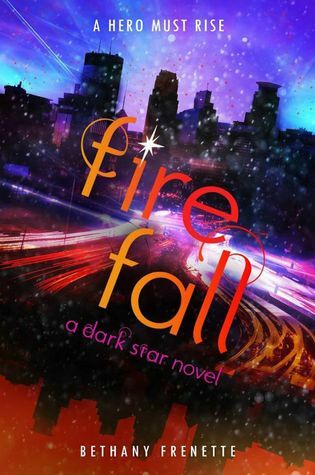 In the exciting conclusion to the Dark Star trilogy, Audrey Whitticomb is faced with a tough decision: save her people from the demons known as Harrowers, or save her best friend from certain death? Audrey Whitticomb wants to be a Guardian like her superhero mom, Morning Star, and her superhot boyfriend, Leon. But at seventeen, Audrey still hasn't been called--unlike reluctant Tink, who'd rather not deal with all those scaly-skinned, red-eyed demons. The truth: Audrey can no longer fight her fate. She has a different role to play. The Beneath is waking. Demons are rising. Friends are falling. And the future is waiting. Will Audrey stop the Harrowing in time to save the Kin? Or will she save her best friend, Gideon, from certain death? 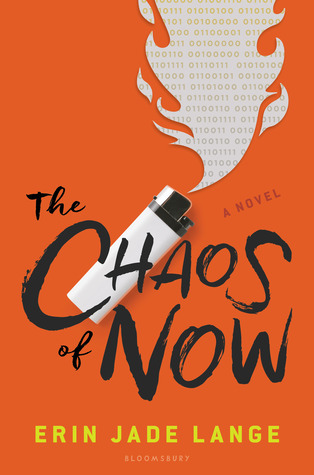 Can Audrey find the power and the courage to act before it's too late? 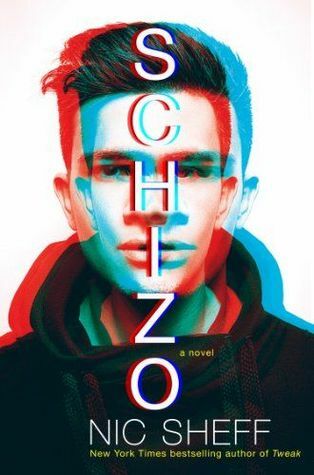 Written by the New York Times bestselling author of Tweak, Schizo is the fascinating, and ultimately quite hopeful, story of one teen's downward spiral into mental illness as he chases the clues to a missing brother. 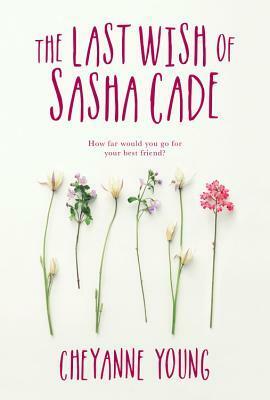 Perfect for fans of Thirteen Reasons Why, The Perks of Being a Wallflower, and It’s Kind of a Funny Story. 0 October First Five Pages Workshop Begins 10/4/14 -- Plus We're Adding Agents to the Workshop! And we have some very exciting news! We’ve revised the format of our First Five Pages Workshops, and we will now be adding an agent to help give the last revisions of the month a final polish. It will be a different agent each month. We are thrilled to announce that Jordy Albert, of The Booker Albert Literary Agency, will be our guest agent for October. Our guest mentor will be the talented Paula Stokes, author of THE ART OF LAINEY. So get those manuscripts ready – First Five Pages October Workshop opens one week from today, on October 4 at noon! We'll take the first five Middle Grade, Young Adult, or New Adult entries that meet all guidelines and formatting requirements. Click here to get the rules! 3 Joshua David Bellin on LOTR and the journey to his debut. What is your favorite thing about SURVIVAL COLONY 9? My road to publication was forty years in the making, which is probably no longer than many authors’! I started thinking of myself as a writer at around age eight, and I completed my first novel, a fantasy titled To Alter the Past, at age sixteen. A family friend who was in publishing looked at it, and of course I had dreams that he’d offer me a million-dollar contract on the spot, but instead he told me (very nicely) that I needed to work on honing my craft. I wrote two more novels in my teens and early twenties: Summer Shadows, a YA contemporary, and The S.A.M.E. Semester, a very bizarre book about a small college that’s taken over by a group of radical educators. Neither got published. When I returned to writing fiction in my forties, I produced one more unpublished novel before writing Survival Colony 9. These numbers, of course, don’t count the many novel ideas and first chapters I produced but never completed! I’ve finished a second book in the Querry Genn series, titled Scavenger of Souls, and I’ve drafted (but not revised) a final book, titled Skaldi City. 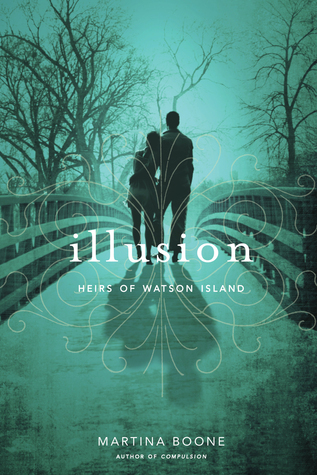 Much as I hate to leave Querry’s story behind after working on it for 4-plus years, the next project I have in mind is very different, a YA alt-history about abolitionist John Brown and the events leading up to the Civil War. 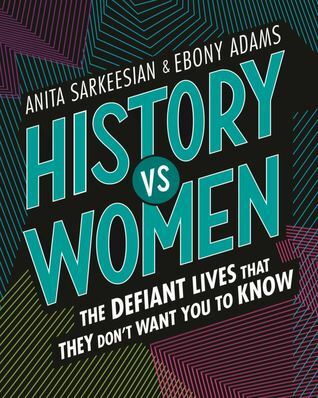 It’ll take lots of research and travel, and it’ll be based in historical fact. But since it’s alt-history, it’ll still give my imagination room to run wild! Enter here to win a signed hardcover copy of SURVIVAL COLONY 9! Giveaway ends 9/28/2014 at midnight EST. 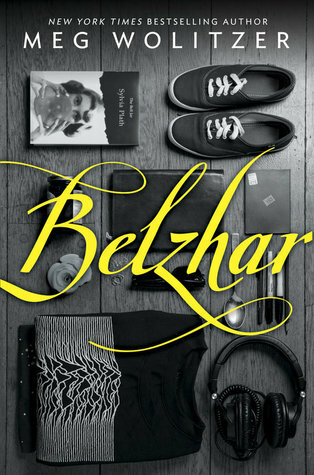 Joshua David Bellin has been writing novels since he was eight years old (though the first few were admittedly very, very short). A Pittsburgh native, Josh graduated from Wesleyan University and went on to earn his PhD. in English at the University of Pennsylvania. He has taught college English, published three nonfiction books (one about monsters! ), and taken part in the movement to protect the environment. He lives with his wife and two children in the beautiful Frick Park area of Pittsburgh. 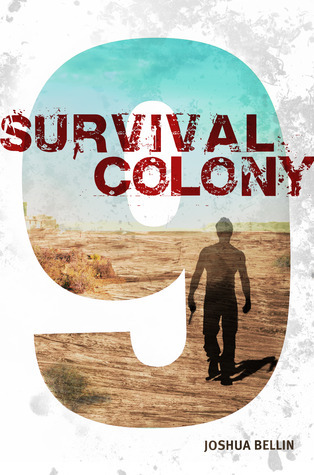 SURVIVAL COLONY 9 is Josh’s debut novel. 1 Scott Westerfeld, author of AFTERWORLDS, on stealing from reality and a secret collaboration. What is your favorite thing about AFTERWORLDS? at a coffee shop or the library, etc? down at your desk and check twitter, shoot zombies, or crush candy. pattern‹setting, music, time of day, lighting, magic rocks, or whatever. ritual will be your friend. so there are lots of fights where we take our characters' sides. 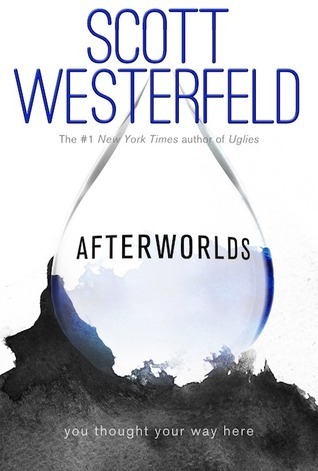 Enter here to win a hardcover copy of AFTERWORLDS! 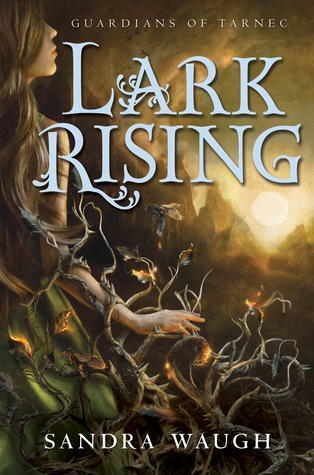 What is your favorite thing about LARK RISING? A hawk lit upon my porch railing one morning. We watched each other for a time and then he flew off. I wrote the first pages of LARK based on that moment. The rest of the story--and series--was formed as I mowed the field behind our house (which borders woods, like Lark’s cottage). Most of my stories get fleshed out while I push the lawnmower—it’s sort of like a walking meditation. From idea to agent, about 2 ½ years. From agent to submission 9 months, from submission to deal about 6 months, from deal to publication 15 months! I can’t say it was ‘hard’, but it was a lesson in patience and trust. I wrote one book prior to LARK RISING—it was with another agent, came very close to being sold, but just didn’t quite make it. I haven’t given up on it yet! I like mornings best for writing, instrumental music (I scour movie soundtracks) for background, and you can put me anywhere with my laptop—I have a great ability to tune out… or tune in as the case may be! It can be a struggle to keep going, keep believing, sometimes, so this helps me: 1) Write from your heart—write what you want to write, and then it is never drudgery 2) Adhere to a firm schedule and deadline. Progress matters—for when every other emotion paralyzes you, you have achievement to hold onto. Pay no mind to the ‘crappy’ ness of a first draft. Once words are on the page, you have something to build from! 1 Kristen Lippert-Martin, author of TABULA RASA, discusses innocence, identity and writing with a newborn. I’d say first and foremost, I knew I wanted to try something completely different from what I’d been writing previously. I’d never written a thriller and to be honest, when I started TABULA RASA I wasn’t even sure what genre it was going to be. I knew I wanted to write something with a lot of action and I’d always loved the Bourne Identity reboot. I thought the premise of the Bourne stories was such a perfect metaphor for adolescence: trying to figure out who you are while people are bearing down on you. Also I had this question in my mind when I was mulling the story idea over: “Would you be innocent again if you couldn’t remember the wrongs you had done?” That was the starting point and then that question got me thinking about identity, what builds it up and what tears it down. Who would you be if you didn’t know anything about yourself, not even what you looked like? I was intrigued by the duality of this idea of throwing the past away and beginning anew as a blank slate. Is it liberation or loss? I’d put my road to publication story in the category of “super hard.” I started out writing adult literary fic after I got my MFA, and after two very long, long novels that got some interest but ultimately went nowhere, I put writing aside. I figured, “Welp, that’s it. Wasn’t meant to be.” It took about five years of no writing for me to start getting the itch to write again. So I guess what I’m saying is, I tried to quit and couldn’t make it stick. But it was also the shift to writing YA that made all the difference. I realized that writing was a whole different ballgame when you actually wrote what you loved to read. So from that point forward, I wrote and heavily revised two YA novels before TABULA RASA. One of them was on sub for about a year but never sold. That was a really dark, discouraging time. 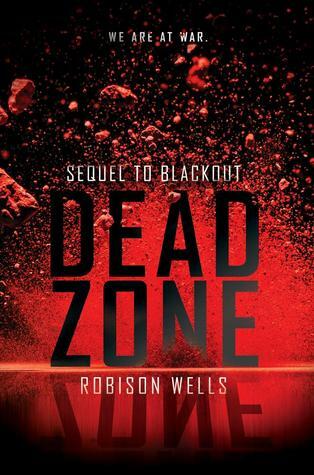 The sequel to TABULA RASA! It just sold a couple weeks back. The title at the moment is INCOGNITA and it’ll be out in Spring 2016—hopefully early spring, but there’s no hard date just yet! 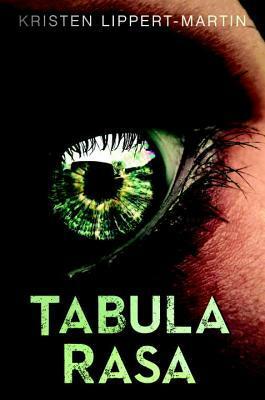 Enter here to win a signed hardcover copy of TABULA RASA! 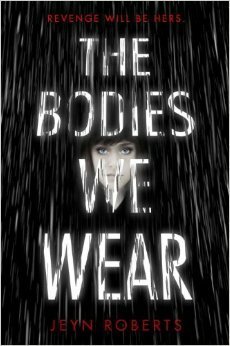 What is your favorite thing about THE BODIES WE WEAR? After my father died, I was left with a lot of questions. And it seemed that I just couldn’t come up with any answers. At one point, I thought to myself ‘imagine if there was a way to find out?’ The idea kinda formed from there. With Bodies, I was able to explore a lot of different ideas concerning the afterlife and what happens once we die. It took me about a year to write. I had to stop in the middle of it to finish Rage Within. I’m most definitely a coffee shop writer. I’m also a late night writer. I like to go out in the evening and work. Sometimes I listen to music, other times I listen to people around me. Keep writing. Write every day. Be open to criticism. As authors, we get very attached to our stories and often don’t see our simple mistakes. It helps to have other eyes looking over your work. Don’t be too hard on yourself. Believe. I’m just starting edits on a ghost story that is coming out next fall. 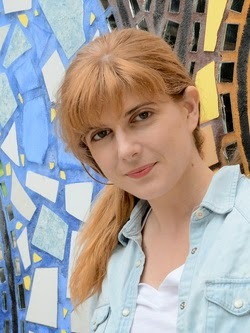 Jeyn Roberts (pronounced Jen - the Y is silent)grew up in Saskatoon, Saskatchewan, and started writing at an early age, having her first story published when she was 16 in a middle-grade anthology called LET ME TELL YOU. When she was 21, she moved to Vancouver with dreams of being a rock star, graduating from the University of British Columbia with a degree in Writing and Psychology. 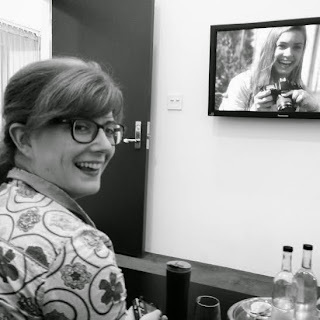 For the next few years she played in an alternative/punk band called Missing Mile before moving to England where she received her MA from the prestigious Creative Writing graduate course at Bath Spa University. Jeyn is a former singer, songwriter, actress, bicycle courier and tree planter. 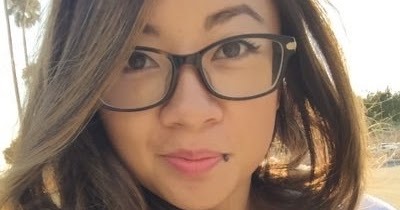 An avid traveler, she’s been around the world, most recently, teaching high school in South Korea. A lover of animals, Jeyn volunteers regularly with helping abandoned and abused animals, especially cats. 1 Mindy McGinnis, author of IN A HANDFUL OF DUST, discusses revisiting a world after a decade. What is your favorite thing about IN A HANDFUL OF DUST? I wanted to see more of the world I built in DRINK, venturing beyond the small area of the pond and Lynn's home. Fast forwarding ten years came from wanting to see what Lucy had become. I wrote it fairly quickly, in about six months. I had been writing for ten years before I landed representation with NOT A DROP TO DRINK. Previous to DRINK I had trunked three adult novels and one YA title. I like silence, although sometimes I'll put on white noise if there's too much background going on. I write in bed, at night - it's my only free time! Be able to take, and process, criticism. If you can't do that you will never improve. I am editing my 2015 release, which will be coming from Katherine Tegen Books. It is a Gothic historical set in an insane asylum, tentatively titled A MADNESS SO DISCREET. 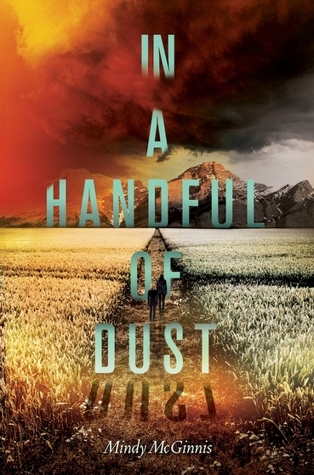 Enter here to win a signed hardcover copy of IN A HANDFUL OF DUST! 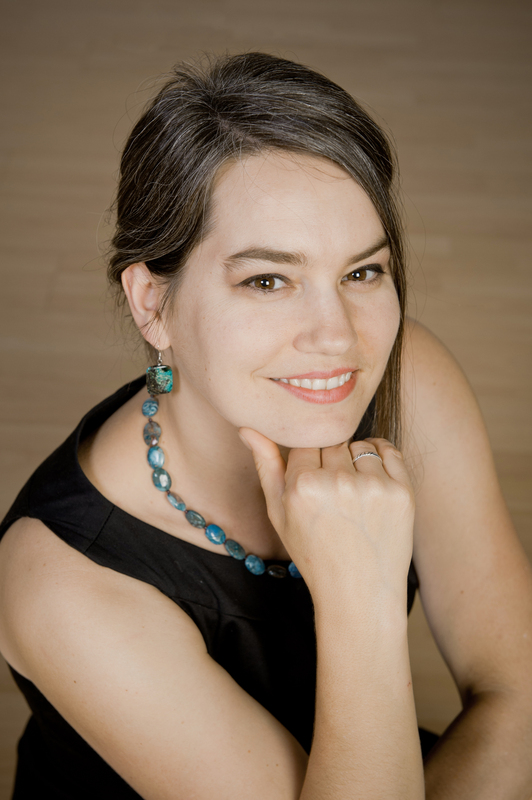 Mindy McGinnis is a YA librarian and author, represented by Adriann Ranta of Wolf Literary. Her YA debut, NOT A DROP TO DRINK, is a survival tale set in a world with limited fresh water. 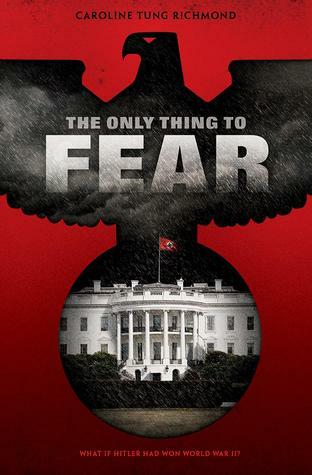 It will be available from Katherine Tegen / Harper Collins, September 24, 2013. She is an avid blogger, posting six days a week to her personal blog, Writer, Writer Pants on Fire, which features interviews with agents, established authors, and debut authors. Learn how they landed their agents, what the submission process is really like, and how it feels when you see your cover for the first time. She also does query critiques every Saturday on the Saturday Slash for those who are brave enough to volunteer. She also contributes to the group blogs From the Write Angle, Book Pregnant, Friday the Thirteeners, The Lucky 13s, The League of Extraordinary Writers and is a member of the Class of 2k13. 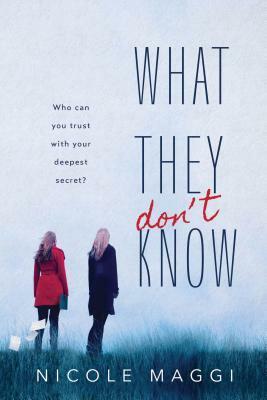 Rachel Wilson is the debut author of the YA novel, DON'T TOUCH, the heart wrenching story of a girl suffering a severe anxiety disorder. 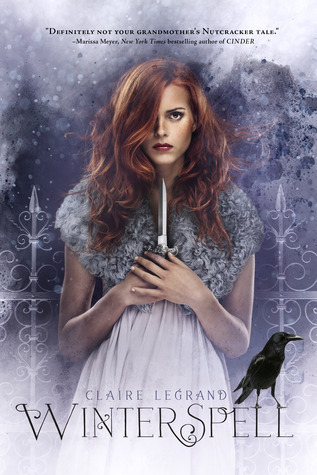 She has been likened to Laurie Halse Anderson, and in my books, that is some of the highest praise you could achieve as an author. DON'T TOUCH hit shelves on September 2nd. 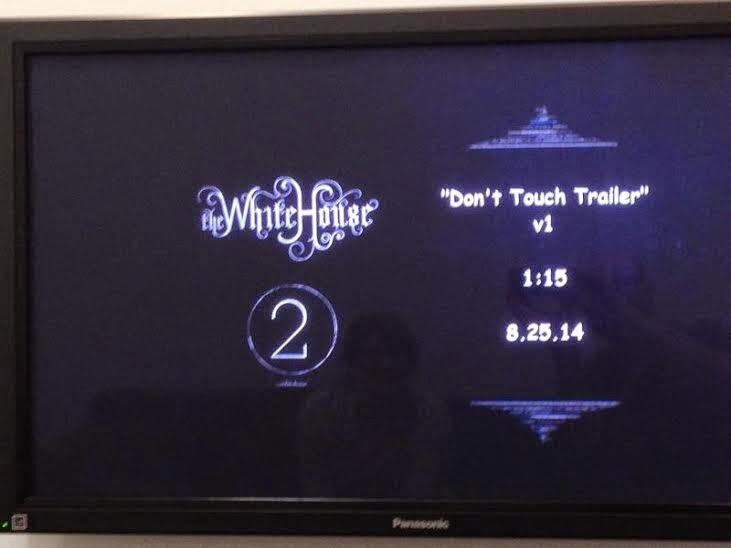 When my director friend Matt Miller said he wanted to direct a trailer for Don’t Touch, I did cartwheels. When he asked what my dream trailer might look like, I began to twitch and mumble. Time for a treatment. Planning a book trailer can be daunting. If you’re working with a director or photographer, a treatment will put everyone on the same page. Even if you’re making the trailer all by your lonesome, a clear plan for what you intend to shoot is a must. A treatment outlines what will be seen on screen—it gives a sense of tone and reads in present tense. Yours may look like a screenplay script, or it may read more like a synopsis of shots. The format is not so important as helping the team envision the final product and creating a guide for shooting. 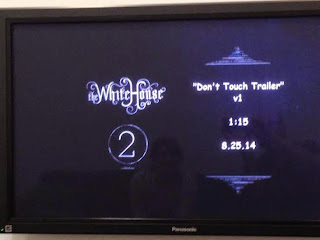 Ask what the central message is that you want viewers to take away from your trailer. This will be close to your one-line synopsis and hint at the central conflict of the book. 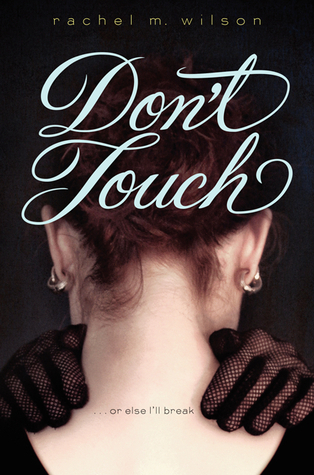 For Don’t Touch, we wanted to make it clear that Caddie has a fear of touching other people’s skin and that this conflicts with her desire to be close to Peter. Collect key text from the book that you might want to use in your trailer. This might be narration or dialogue; it might be heard during the trailer or spoken as a voice over or in-scene. For us, a couple of lines of narration that captured our central message jumped out almost immediately. Make a list of images from the book that might work in your trailer. Don’t limit yourself at this point—just brainstorm. And get descriptive. Your character is tumbling downhill—do you picture that as a series of jump cuts or in slow motion? What time of day is it? Do we see this from a distance, or is it more important to see a close-up of the terror in his eyes? Use cinematic language. Your treatment needn’t be as rigid or specific as a script, but if you have a specific vision for certain moments (slow motion, extreme close-up, quick cuts), including those can help the whole team visualize together. Is there a controlling image that might serve as an anchor for the rest of your trailer? For us, this was Caddie falling into the swimming pool. There’s no rule that says you need to work in chronological order—one strong image might be all you need, or you might choose, as we did, to use a single image as a frame for the rest, beginning, middle, and end. Group images by location and prioritize. Each location adds time for travel and setting up equipment, and some will require payment or favors to access. For our one-day shoot, we aimed for no more than three locations. Can you avoid a hard-t0-find setting by using an extreme close-up? Must that shot take place in a classroom, or could it happen in the bedroom you’re already using? Arrange and rearrange. Play with different combinations of image and text until your treatment has a sense of progression that you like. Find visual connection between images. This helps pull the viewer through the trailer, creates visual interest, and tells a story on a subconscious level. In our treatment, we set up a parallel between Caddie stepping onto stage for an audition and stepping up to the edge of the pool. For her, there’s an emotional connection between those two acts. Our editor, Travis Hockswender, found other parallels in our footage that we hadn’t planned on. Notice around 0:47 how Caddie’s spin flows into Peter turning to sit down. Be flexible with your treatment in shooting and editing. That moment at 0:47 wasn’t in our treatment but rather a happy accident. Likewise, the moments of Caddie and Peter mirroring each other’s hands were improvised during our shoot. The treatment is only a guide, so allow for discovery. Time the treatment. Set a timer and, as best you can, speak or visualize through the shots you have planned. Short is best both for keeping attention and for conserving resources. Think of your trailer as the visual equivalent of a poem—just like every word in a poem counts, every shot in your trailer has to earn its place. Most importantly, get inspired. A trailer isn’t worth the trouble if you aren’t going to have fun making it, so put on your film-making hat, watch the trailers for books similar to yours, gather inspiring images, and tap into the same creative energy you bring to your writing! Image: Caddie’s feet, in shoes, stepping to the edge of a pool. Image: Caddie stepping to the edge of a high school stage. CU on Caddie’s hand fidgeting, clenching at her side. CADDIE: I am Caddie Finn. CU of Caddie blinking in the glare of stage lights. Raises a hand to shield her eyes. 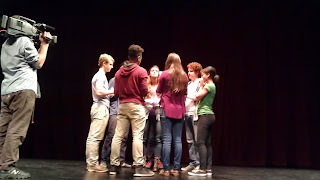 Image: Overhead of a trust circle—students being passed around the center. Image: Caddie’s hands and Peter’s almost touching/coming together. 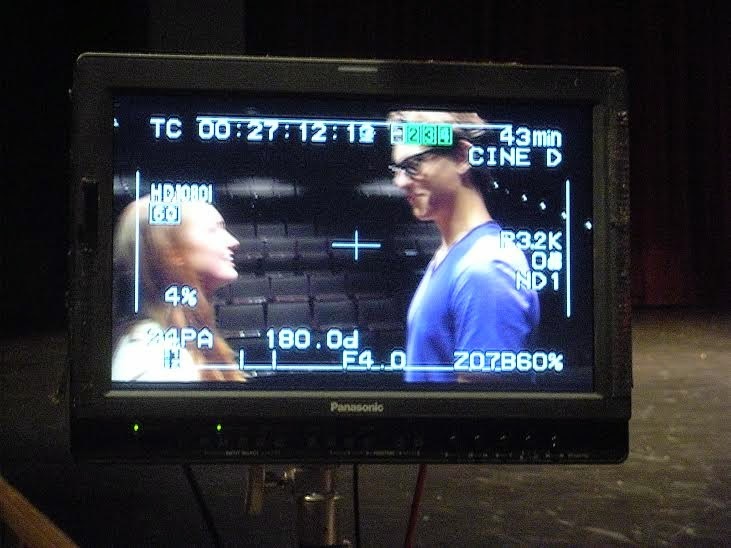 Image: Caddie and Peter’s mouths close up on the verge of a kiss. VO: And people—people do it best. Lisa here to welcome Kimberly Brower from the Rebecca Friedman Agency! But before our chat, please remember to take a look at our top ten entries in the Pitch Plus 5 contest and don't forget to go to the sidebar to vote for your favorite from our original 50 so that the top can win a prize. Kimberly fell in love with reading when she picked up her first Babysitter’s Club book at the age of seven and hasn’t been able to get her nose out of a book since. Reading has always been her passion, even while pursuing her business degree at California State University, Northridge and law degree at Loyola Law School, Los Angeles. By joining the Rebecca Friedman Literary Agency in 2014, she has been able to merge her legal background with her love of books. 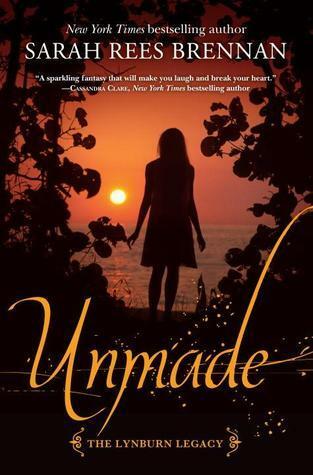 Although she loves all things romance, she is also searching for books that are different and will surprise her, with empathetic characters and compelling stories. Kimberly is interested in both commercial and literary fiction, with an emphasis in women’s fiction, contemporary romance, new adult and young adult, as well as certain areas of non-fiction, including business, diet and fitness. It's the feelings the story evokes. I need to feel a connection to the characters and the story. I love finding a manuscript that I simply cannot put down. - The Harry Potter series by J.K. Rowling. I read these books when I was in my early 20s, but the world that she created was magical. I became so invested in the story and was so sad to see it end. - The Mortal Instruments series by Cassandra Clare. Just like the Harry Potter series, I admire an author who creates an entire world in her imagination. 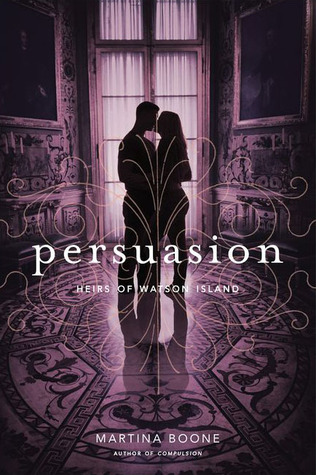 What I liked about this series was that although it had romance, there was just so much more to it than that. To me this series was the whole package. -The Breathing Series by Rebecca Donovan. Reason to Breathe was the first indie book I ever read and I was blown away by the depth and level of emotions the author was able to convey. This will always be one of my favorite series. -Pushing the Limits by Katie McGarry. 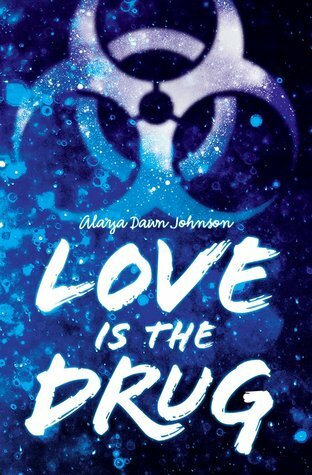 Although this book is classified as YA, I feel like it was written in a way where adults could relate to the characters and the storyline. 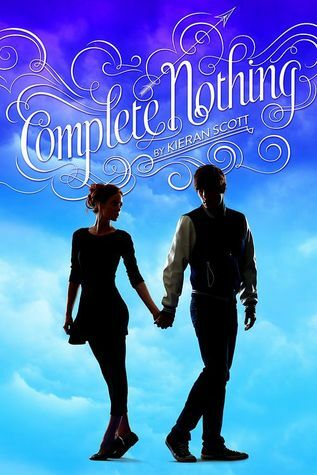 I am also a sucker for teen romances, so the fact that this book was a romance and was written so well, I became an instant fan. I like seeing a concise summary of the book and the author's bio. I can usually tell just by reading the summary if it is a book I would be interested in reading or an author I'd want to represent. I like queries that are written professionally, but show a bit of the author's personality in it as well. I'm sure authors send a lot of queries out, but it is nice to see that they've done their research and know what I am interested in as well. Yes, I'm a very hands-on agent. Don't judge me, but soda, chocolate and french fries. They are my weakness! Just press SEND. Take a risk and believe in yourself. Romance - I am a sucker for all things romance. Hmm this is a tricky one. 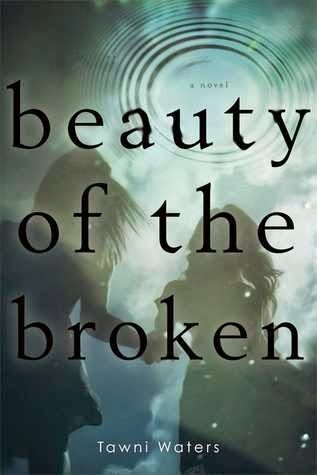 I absolutely need an emotional connection with the characters in order to get invested in a book. That emotional connection is what usually hooks me. And although marketability is extremely important, I think I will have to say that having an emotional connection is more crucial, for me at least. I absolutely adore all things books. I love reading them and talking about them. So when I was given an opportunity to merge my legal background with my love for reading, it became a dream come true. I love the fact that I get to help authors achieve their dreams as well. 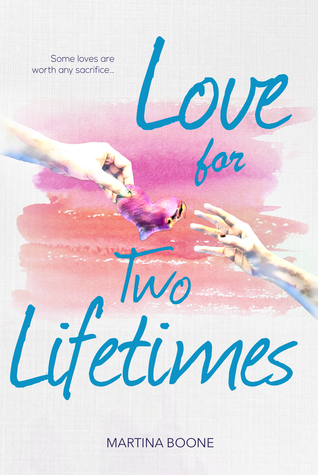 You can find Kimberly on Twitter (@KimberlyBrower) or Goodreads!